The Civil Society Scaling-Up Nutrition in Nigeria (CS-SUNN) is a non-governmental, non-profit making coalition, made up of organizations with a shared vision to transform Nigeria into a country where every citizen has food and is nutrition secured. CS-SUNN pursues this lofty goal by engaging and mobilizing Non-state actors to advocate for relevant policy implementation, raise awareness, generate evidence, build capacity and stimulate communities to scale-up nutrition in Nigeria, with special focus on maternal and child nutrition. There is no doubt, CS-SUNN organization’s capacity over time has improved in terms of governance, project planning/delivery, internal control etc. Nevertheless, there is a need to step-up in terms of organizational growth and sustainability through a well thought out road map designed to engender scaled-up nutrition interventions in Nigeria. A Key component of the PINNS project investment outcome is to ensure Increased Momentum for Scaling up Nutrition in Nigeria, through concerted Civil Society Action. To attain this outcome, CS-SUNN and its networks at the sub-national level must grow to become an organization with the requisite expertise and capacity to attract sustainable funding and a leading voice for nutrition advocacy in Nigeria. To this end CS-SUNN seeks the services of a reputable consultant who will review, update its existing strategic plan, assess its organization/capacity and develop a business/resources mobilization plan that will set it on the path of growth and sustainability. 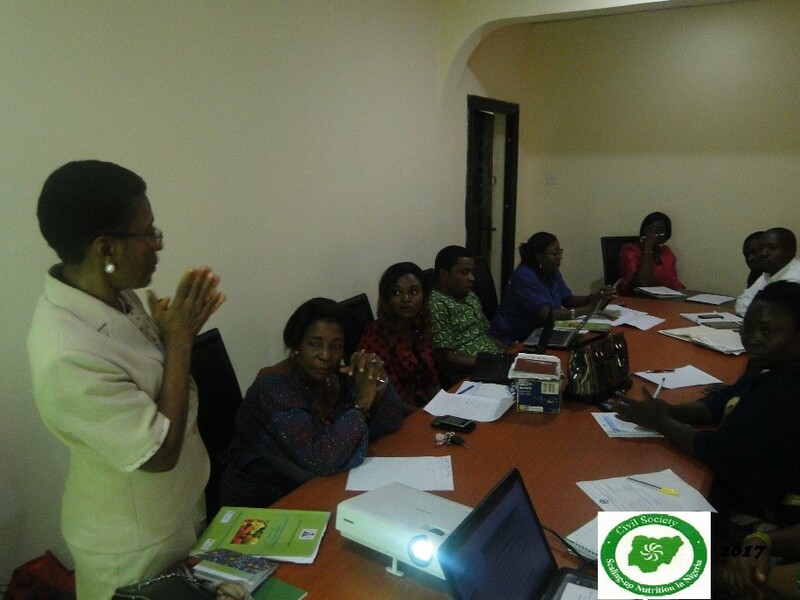 The overall objective of the exercise is to carry out an Organizational-wide Capacity Assessment (OCA) which would include identifying the strengths and gaps in management systems, structures, processes and people in CS-SUNN and its Nutrition networks from PINNS focal states (Lagos, Kaduna, Kano, Niger, Nasarawa and FCT). The consultant will also review, update existing strategic plan and develop a business plan that will guide its fund mobilization mandate. Assess the organization’s capacity with respect to its systems, processes and people to effectively and efficiently manage the project, human resources, finances, logistics & infrastructure, and stakeholders. Make realistic suggestions and recommendations on how CS-SUNN can address the highlighted capacity gaps in the short, mid and long-term. Develop a resource mobilization/business plan that will position the organization to source and secure funds that will facilitate implementation of its strategic plan and implement capacity gaps found during the assessment. Conduct a comprehensive analysis of potential global and local donors to map thefeasibility of securing multi-year and thematic funding. Map donors’ strategic areas of interest, funds available, grantees, funding windows, requirements and guidelines and interest in funding key CS-SUNN result areas. Recommend how to develop and maintain strategic partnerships and engagement with key donors. A 15-page resource mobilization strategy that will facilitate sustained funding for key CS-SUNN results. The Business Plan shall incorporate and be built on the CS-SUNN strategic plan. The duration for the assignment is a total of 20 working days. Assignment must be completed and final submissions made by close of business of the 31st July, 2018. Academic Qualifications in an advanced degree in organizational development, Business management, Economics, Finance, or related technical field. The consultant should have vast knowledge in Institutional development with experience of strategic planning, capacity assessment, financial management, management etc. This consultant must rely on and make use of the substantial body of knowledge and experience within CS-SUNN and its state chapters regarding growth, sustainability and stakeholder relations. The complete offer should be send via mail to [email protected] and or [email protected] on or before 6th of July, 2018. Successful consultants will be contacted for a formal meeting on or before 6th of July, 2018.